Elevated between 3245 ft and 9718 ft, the Ski Resort is among the 10 highest elevated Ski Resorts in Austria. The vertical drop from summit to base is 6473 ft. The average difference in altitude between base and summit of Ski Resorts in Austria is 2388 ft. Most runs are therefore relatively long. 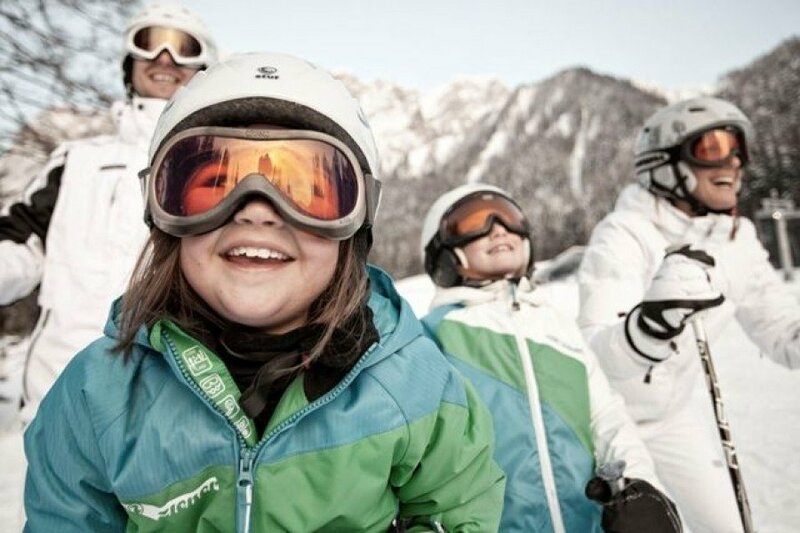 It is among the 3 most family-friendly ski Resorts in Austria. Season starts on Dec 14 and ends on Apr 22 (129 days). Average season duration in Austria is 114 days. Average snow depth during the season (Dec 14 to Apr 22) is 144 " at summit elevation and 22 " at base elevation. Snow coverage is usually best during February, offering an average snow depth of 159 " at summit elevation and 28 " at the base. Tiroler Zugspitz Arena features 69 sunny days on average per season. 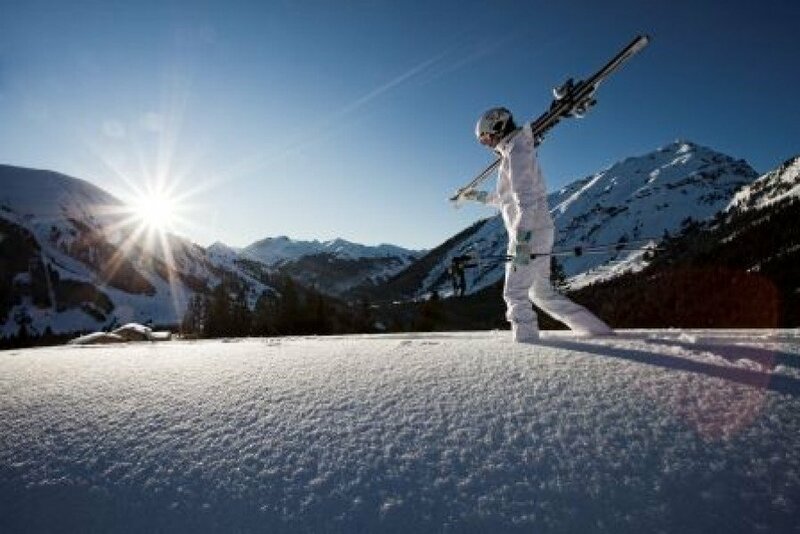 The average for all ski Resorts in Austria is 60 sunny days. February is the sunniest month with an average of 18 sunny days. Offering 89 miles of slopes and terrain, Tiroler Zugspitz Arena is among the 10 largest Ski Resorts in Austria. ©Tiroler Zugspitz Arena/U. Wiesmeier Perfect skiing conditions at Ehrwalder Alm. 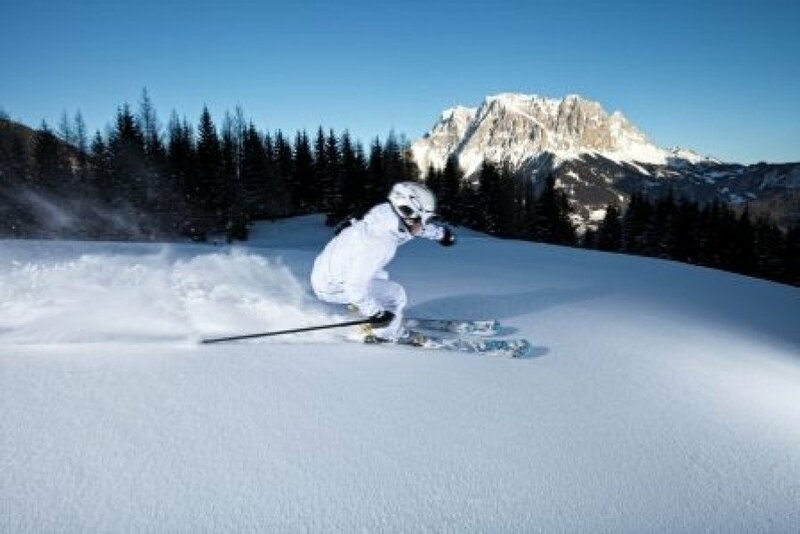 Skiing at Tiroler Zugspitz Arena means endless pleasure. Countless slopes at 7 ski resorts make the area a paradise for all winter sports enthusiasts. The best part: guests can ski all terrains with only one ticket, the Top Snow Pass. A free bus gets skiers and snowboarders comfortably from one resort to the next. Coming to Zugspitz Arena, you are looking at an absolute top notch holiday! 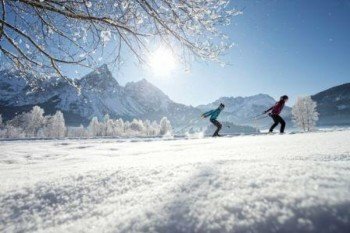 Skiing at Zugspitzplatt, Ehrwalder Alm, Wetterstein, Grubigstein, Marienberg, or Berwang-Bichlbach means versatile slopes, snowy back country hills, and fun and action for the whole family. The ski resort on Zugspitze boasts loads of natural snow. 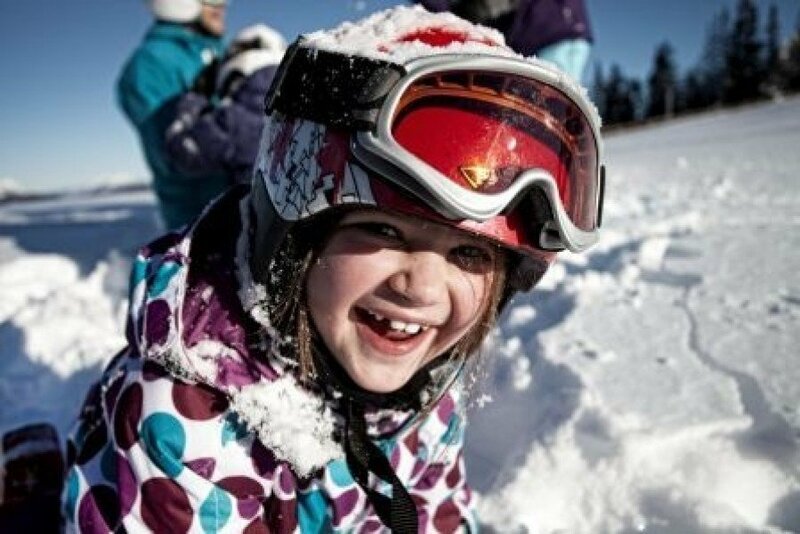 Germany's highest runs promise perfect snow conditions and seven months of snow safety. It features a total of 20 kilometres (12.5 miles) of blue and red slopes. The glacier run expecialls offers highest skiing pleasure and lots of sunshine at almost 9,850 feet. The terrain park is usually open from January through April, and features a number of obstacles for freestylers. Ehrwalder Alm ski resort is situated underneath Zugspitze. A perfectly groomed 27.5 kilometres (17 miles) of slopes and 8 lifts make crowded trails and long waiting a thing of the past. A majority of blue runs make Ehrwalder Alm a great spot for beginners and returners. For stronger skiers, there is a black panoramic run. At Kämmli lift, freestylers can show off their tricks. Better Park is home to various jumps, boxes, and rails. The ski resort on Wetterstein underneath the Zugspitz Massif, boasts 23 kilometres (24 miles) of skiing fun for the young and the old. Nine bluees turn it into a perfect resort for families and beginners. The 6-person chair brings everyone safely up the mountain. Carving fans can enjoy their turns in peace, while snowboarders perfect their stunts at the expressly built area with its almost 400 feet long half pipe. MINI Funslope'n'Trail with its banked turns, rails, and kickers is a blast for everyone. At the ski resort Grubigstein in Lermoos, ambitious skiers, freeriders, boarders, and locals feel at home. The majority of runs here is marked red. The resort's base station in Lermoos is situated at an elevation of 3,280 feet. It boasts nine exciting trails and a great snowboarding area. Sunny and snow safe slopes with a great view of Zugspitze attract winter sports enthusiasts from all over. 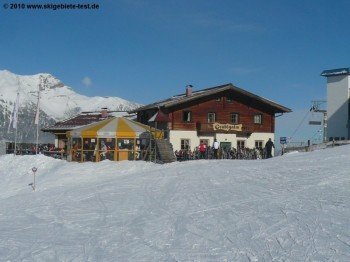 While the runs around Family Jet are mainly dedicated to beginners and children, experts will enjoy themselves a bit higher up around Gamsjet and Grubigbahn II. If you prefer it a little slower and more familial, Marienberg ski resort is the place for you. With just over 6 miles of slopes and six lifts, you can enjoy a ski day with some peace and quiet. Families enjoy the child-friendly runs around the base and Biberland kids' area. More great runs can be found at Berwang-Bichlbach ski resort. From beginner to expert - everyone will find the right slope. The 12 modern lifts get you from the town straight into the resort. Runs such as Sonnalmbahn or Almkopf Bichlbahn challenge experienced skiers; Mooslift and Bärenrunde are easy trails for beginners. Obstacle Park at Thanellkarlift is perfect for freestyle newbies that want to try their first lines and kickers. You will find a variety of on-mountain dining facilities at Tiroler Zugspitz Arena. From hearty mountain fair to snacks, pizza, and local specialities, you will find everything your culinary heart desires. Some of the restaurants have a terrace where you can enjoy the mountain view as well as a little sunbath. Ambitious skiers looking for a challenge shouldn't miss the Super G track at Zugspitzplatt, or the black panoramic run in Ehrwald. Almkopf and Thanellerkar runs in Berwang as well as Gamskar sun run at Wetterstein are especially scenic trails. © Tiroler Zugspitz Arena/U. Wiesmeier You get a great choice of cross-country trails. If you want a break from skiing, there are lots of activities off-piste as well. For example, Grubigstein in Lermoos is home to the longest nature toboggan run in the region. Another option is to explore the surrounding area hiking or snowshoeing. Fans of cross-country skiing find a vast number of trails for both classic and skating. A variety of trails at a stunning mountain backdrop make for a great cross-country experience. 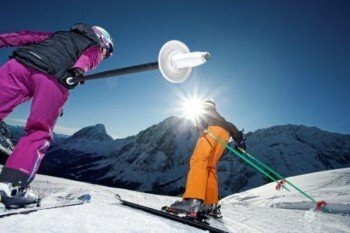 Laser biathlon is the new highlight at the Moos trail in Berwang. Once a week, you can show off your running and shooting skills here. The rifles are perfectly safe, as you shoot lasers instead of bullets. Joining a snowcat ride is also a blast. Of course there is plenty of opportunity for après ski at Zugspitz Arena. H2-Sepp in Berwang or Juxbar next to Grubigsteinbahn's base station are great hang-outs for a laid-back party night. Another great spot to have some fun is Lahme Ente at Leermoos's base station. As early as 1 pm, you can start warming up at the umbrella bar with mulled wine and other beverages. Culinary highlights of the region include fondue nights at an elevation of almost 10,000 feet. Besides a range of meat and dessert specialities, you can look forward to a musical backdrop. Gourmets should visit Hubertusstube at Wellness and Sports Hotel Alpenhof. You will find delicious meals with a focus on fresh and seasonal ingredients. Tiroler Stube at Sporthotel Singer spoils you with award-winning cuisine and a great wine menu. Cosy and traditional best describes Beim Schnapsbrenner in Berwang. Don't miss out on the unique schnaps specialities. You can get to the ski resort via A7 (Ulm-Füssen) or A95 (Munich-Garmisch P.). Exit at Garmisch/Ehrwald/Lermoos and take B23 towards Ehrwald. The closest train station is located at Ehrwald. From there, busses take you to the respective ski resorts. Schneeexpress, the train from Garmisch Partenkirchen to Zugspitzarena/Reutte, is free for guests and locals during the winter. The guest card serves as a ticket. Airports Munich, Innsbruck, and Memmingen are reasonably close to the resorts.